The plot is great and the story is brilliant. Characters such as Alexander 222 and Aunt Isobel are brilliant because they feel they are doing right but are doing wrong and then later are just misunderstood individuals. The heroes are really complex characters, very interesting to read about. I particularly like the twist at the end because when I felt there was no more danger a problem jumped back into view. If you enjoy reading sci-fi or fantasy novels you will definitely love this book and the previous one. If any, my only reservation about this book is that when I first picked it up, I couldn’t really follow the characters as their background were mostly introduced in the first book of the trilogy (Escape from the Forbidden Planet). However after requesting and receiving the first book from the blog tour organiser, the 2nd became more enjoyable and hitherto complex characters like Alexandra clones became far easier to follow. The book was quite captivating after I got the background of the previous book. Q1. As succinctly as possible, tell us why someone should read your book. Telepathic elves, intuitive trees, space travel, evil clones and chocolate cake… say no more. Q2. Where did you draw your inspiration from for your characters? Umm, Caramel is a bit like me. Some of my family have read the book and just laughed, knowing that is how I would say something. Q3. What is the main message you want to convey to your readers in your books? Caramel may have a disability but she learns to capitalise on her unique abilities. I hope kids will identify with her struggles and be encouraged by her courage and determination. Q4. How did it compare to write the first book, “Escape From the Forbidden Planet” versus the second book, “Return to Cardamom” in the series? The characters and world building were already explained by book 2, so it felt easier to continue their journey. Q5. Can we expect more books from you in the future? Hmmm, book 3 in the trilogy has all the characters return for an intergalactic space camp…enough said. I also have a middle grade tween crime scene investigation in illustration at the moment so stay tuned. 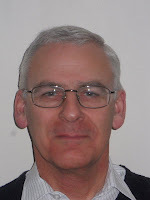 Author's Profile: Neal James featured on the Voices & Verbs Blog. 33 years of earning a living in a professional capacity as an accountant provided the kind of discipline needed to complete novels ranging from 65,000 to 100,000 words. Putting myself through a professional qualification made me realise that there really is no such thing as a Free Lunch, and that the only person likely to take an interest in my career, apart from my wife Lynn, was me. This is the sort of reality which had stood me in good stead, and allowed me to reconcile to the fact that agencies simply are not interested in unknown, and therefore high risk, authors. I was extremely fortunate to find Pneuma Springs – a publisher prepared to take a risk without the fallback position of relying on an agent to screen the work. Maltese doctor nominated for the People's Book Prize and featured in the Malta Sunday Times. 'The Blake Curse' I. C. Camilleri is in The People's Book Prize 2013 SUMMER Collection. Voting is open to all Readers. English soil, so treasured, hasn’t always been a green and pleasant land. The times when life was cheap and governments were proved with butchery and bloodshed, are, in reality, only a few hundred years behind us. The history we take for granted is littered with the prejudices of originating scholars and the editing of the victors from any given age. The 17th century Civil War split families and towns, killing by proportion more English men than WW1 and WW2 combined. History has polished its account to let us believe that somehow it was the birth of our democratic nation, but this was no rite. 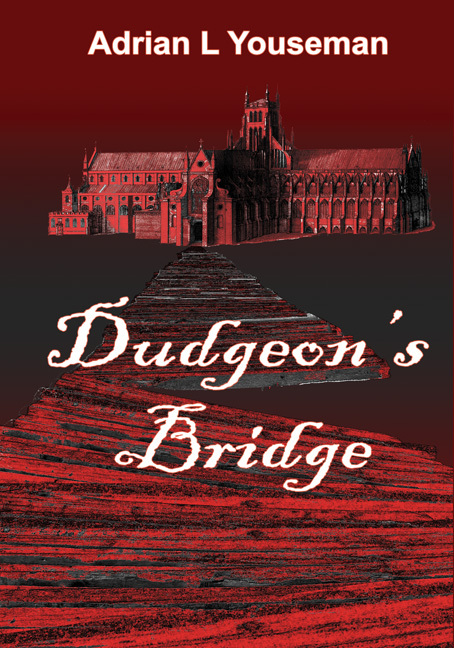 Dudgeon’s Bridge takes you through these times. A boy is born into a town beset by the worst of these troubles and must struggle to make his mark, whilst trying to look after his family. We know too well in today’s world that one simple life can change the world we know, but little of those in the past who did. This is the account that’s waiting to be told, for the monstrosity of war creates its children and just like so many of them, the truth is so often the first to be orphaned. The lure of writing, for me, came with the hair-raising prospect of actually getting something not simply published, but also in the display window of a major book store chain. I do believe that more of us have the ability to write than the supposed experts give us credit for. I once read part of an article by a well-known writer which contained what I thought was a piece of sheer arrogance. Paraphrasing, this person said that there is an assertion that there is a book within in all of us and that, in his/her opinion, that is precisely where it should remain. The unfairness of this piece of rhetoric stands alone in its starkness. I started in 2006 with a manuscript full of family life stretching over a period of 30 years or more. It was prompted by a major family event, and spawned a flow of short stories which were published on a succession of writing sites across the world. This is where a writer cuts his or her teeth. Places like that can be brutal in the honesty of their members, but anything of quality will survive the harsh, but ultimately fair, critique; fair because you are judged by your peers, and honest because there are no axes to grind. Bringing you exclusive interviews with authors featured in the Book Savvy Newsletter. Q1. Can you tell us a little about yourself and your book 'Pomp and Circumstances'? As an ex-teacher who used to stretch my pupils, I challenge myself by writing in various genres and styles for different audiences - from humour and fantasy to historical adventure. But I hope there's always a detectable 'essence of me'! Pomp and Circumstances isn't for children but young adult/adult readers - and all the action happens over twelve hours. One day changes the lives of five young Londoners. Q2. Why did you set Pomp and Circumstances on Royal Wedding Day? It was a day I began as an indifferent observer, of the central players and the crowd. But I found myself held captive on my sofa! I realised this unusual day was an opportunity for new, surprising connections. Q3. Who would enjoy this novel and why? Anyone over fourteen. It's a lively social snapshot of partying London, but the story is character-led, exploring modern ideas, choices and relationships.